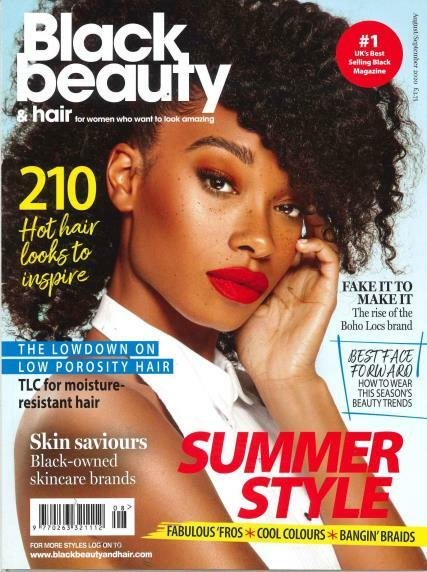 Black Beauty and Hair is aleading hair, fashion and beauty magazine targeted at women of colour, itoffers the most current trends in high fashion in hair, cosmetics and apparel. Buy a single copy or subscription to Black Beauty and Hair magazine. The glossy magazine provides page after page of trendsetting styles in addition to articles on celebrities and beauty. Named the top selling black magazine in the United Kingdom, BBH is the source for the best in hair and cosmetic trends. Black Beauty & Hair Magazine is published on a bimonthly basis. The focus of BebeGrafiti and Es Anozia’s fashions are to introduce classic African motifs into the world of fashion design. The strategy appears to be working as the line of apparel is considered the height of fashion internationally.